Beta-carotene, vitamin C, vitamin E, and selenium are known as antioxidants that can stimulate the immune system to fight free radicals that form carcinogens ( substances that can cause cancer ). 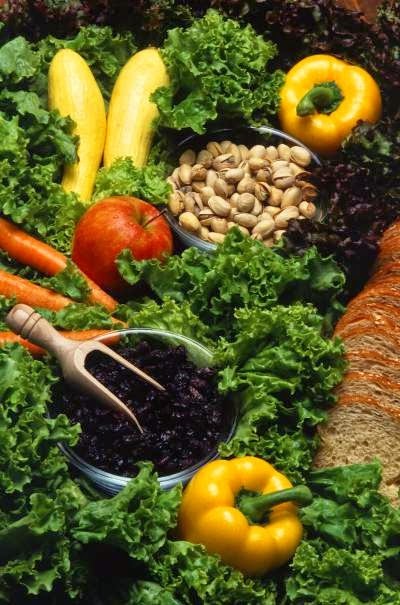 The mechanism of antioxidants in inhibiting cancer include preventing the formation of carcinogens and inhibit the destruction of normal cells. In experiments on animals, it is proven that antioxidants inhibit chromosome damage, stage of tumor promotion, cell transformation and cancer formation by chemical stimuli or radiation. Beta-carotene is found in many yellow vegetables such as carrots, while vitamin C is found in many kinds of citrus fruits, guavas, and other E-lain.Vitamin found in many cereals, vegetable oils, corn, green leafy vegetables, and fruits . Selenium is found in meat, shellfish, cereals, and livestock products. According to some studies, women with cervical cancer ( cervical ) levels of folic acid in the blood decreases. This does not necessarily mean that low folic acid levels trigger or cause cancer. With folic acid supplementation, abnormal changes in the cells of the cervix ( cervical dysplasia ) that could develop into cervical cancer, can be prevented. Folic acid is found in many green vegetables (broccoli, spinach, asparagus), peas, whole grains, liver, beans. Supplementation of vitamin B3 or niacin is also reported to prevent cancer. This vitamin is usually given also in patients with cancer who are undergoing chemotherapy itself, to reduce the toxic effects (toxicity) of the chemotherapy itself. Popov research even states, giving a combination of niacin and aspirin in patients with bladder cancer recurrence rates, reduce overtime and increase the life of cancer patients. Niacin is contained in beef, chicken, beans, eggs, fish, lean meat and avocado. While the research of other experts, Garland and Colston and his colleagues showed that supplementation of vitamin D in its active form (1,25- dihydroxy) can inhibit the multiplication (doubling) of cancer cells. The higher vitamin D in the blood (in the form of 25-hydroxy vitamin D, the lower the risk of colon cancer. These vitamins are often found in butter, milk, egg yolks, liver, rice, and fish.